One kind of trash may yet yield treasure. 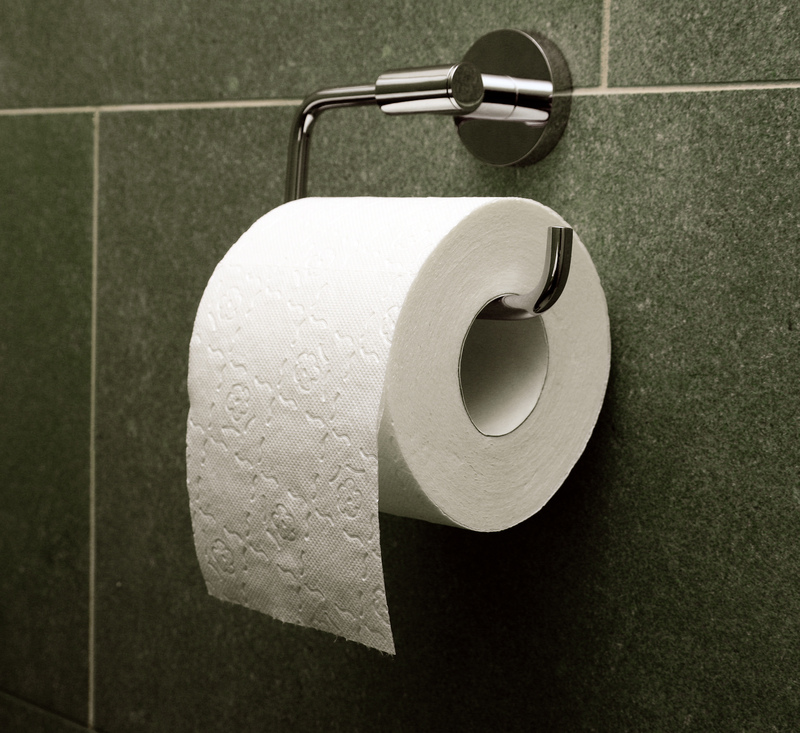 Each person flushes dozens of pounds of toilet paper each year — and one team of researchers thinks that stinks. Rather than leaving it to gum up the plumbing, they propose harnessing the waste for low-carbon energy. While ExxonMobil has little to fear from this upstart, the reasonable prices of second-hand TP could position it as a viable alternative energy source, the researchers say. The system, as outlined by van der Spek and his co-authors in the August issue of Energy Technology, would take the “recycle, reuse” mantra to heart by sieving toilet paper from the sewer, drying it, gasifying it and burning it in a fuel cell (a device that turns a fuel gas into electricity directly through a chemical reaction, rather than by heat). Waste heat from the fuel cell, which runs at over 1,000 degrees Fahrenheit, is itself recycled, drying the incoming pulp. A “gasifier” then breaks down the TP, and the resulting gas is scrubbed of contaminants which are funneled back to power the gasifier. The newly purified gas feeds into the fuel cell, which converts the chemical energy into electricity, closing the loop. “It drives itself based on the energy content of the toilet paper,” says lead author Els van der Roest, an energy and water researcher at Utrecht University. On top of the energy needed to run itself, the system would also pump out enough electricity to power 6,400 Dutch households if coupled with the waste from Amsterdam’s WaterNet, a water management and wastewater treatment company. The utility approached the researchers for ideas to solve a sticky situation. It currently ferments sewage to make biogas, but TP’s woody fibers break down poorly, leaving behind a mess. This snag makes TP something of a unicorn: a negative-cost resource, i.e., something somebody will pay you to take off their hands. Most energy companies have to buy fuel, but WaterNet would pay $80 per ton for someone to haul their TP away. Running on a material that’s literally cheaper than dirt, a plant retrofitted with this technology could be competitive with pricier residential solar panels and offshore wind projects, the researchers conclude. Improved fuel cell manufacturing could further cut costs. Stephen McPhail, a fuel cell researcher for the Italian government, thinks the plan looks plausible, at least on paper. “It’s based on sound principles,” he says. “The problem is really in the practical implementation.” Any system downtime would risk waste backup, so the gasifier would need to run continuously with little upkeep. What’s more, the current one-year manufacturing time for a single high-capacity fuel cell could hamper efforts to scale up. But McPhail, who wasn’t involved with the research, isn’t one to pooh-pooh the idea. “The economic calculations are more or less realistic for when this system would actually be produced, which would conceivably be within a five-year time span,” he says. Paper author Roest is even more optimistic. “We can already do this if we want to,” she says. Toilet paper alone will never power a country, but Roest envisions a day when similar methods will extract electricity from all kinds of refuse, and no waste stream is too small, or too smelly, to be considered a resource. “We just need to try everything,” she says. Back in 2010 an Australian company demonstrated the gasification side with commercial scale pilot that mixed de-watered sewerage sludge with wood chips from municipal wood wastes collection. The resulting gas being clean enough for operation of IC Engine gensets. Since then the original successful technology has matured and is moving forward in other areas. In terms of sewerage application however the concept has extended to redesigning and making far cheaper the whole water treatment plant as all solids & plastic contaminants can be diverted through the gasifier on entry via centrifuge separation, reducing size of digester’s required (also made more efficient through temperature management via heat recovery off the gasifier), with tertiary treatment via reed beds using a biochar substrate, where the reeds can be periodically harvested as fuel for the gasifier.